Following Sunday lunch at the disappointing Gongoozler (not listed on here), we continued with the canal theme and moved onto the Fountain. 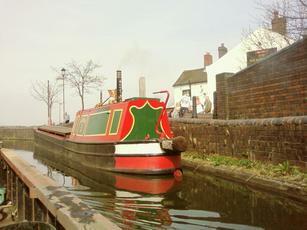 Most customers were enjoying the sunshine outside next to the canal. But the plastic glasses being dispensed for those drinking outdoors persuaded us otherwise. The ale range was a little disappointing - Banks's Mild, Wye Valley HPA, Adnams Mosaic, Timothy Taylor Landlord, Greene King Abbot & Thwaites Wainwright. There was no real cider either. But a lot of people seemed to be enjoying the fizzy Thatcher's varieties. The pub itself is fairly basic. Service wasn't the best. The younger barmaid hadn't got a clue which order to serve people in. So she just served those she knew. Like the last reviewer, I too had the Mild. I'm not a fan of Banks's Mild. But this was the best option. Disappointing pub. 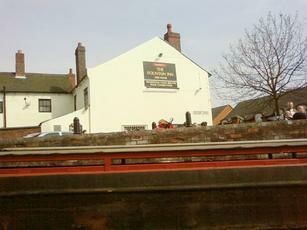 Pleasant enough pub, good selection of ales on, had a good pint of Banks' Mild. Surprisingly good pub in a real ale desert, where the locals are very much of the 'Friendly but God help you if you don't fit in' variety. Good range of beers, the one I tried was fine. Prices were okay, probably higher than the local competition but you get what you pay for. 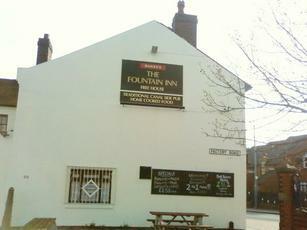 A lot of nearby pubs have closed; the Fountain's continued existence is proof that there's still a market for decent ones even in unlikely areas. Little bit of history associated with this pub - there are a couple of blue plaques on the outside commemorating its association with the Tipton Slasher - who has a monument in the park over the road. This was the sole reason for seeking it out. The beer is excellent - choice of several real ales, but I couldn't resist the Bank's Bitter and I cannot say that I have ever had a better example anywhere. Sat outside by the canal. .... the reviewers who commented that it is a Banks' pub with no real ales are seriously confused (probably mixing it up with the appalling Ace of Spades (aka Barge and Barrel). 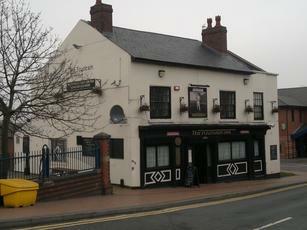 I have used this pub on and off for more than 30 years and it has not (during that time) been a Banks' pub.